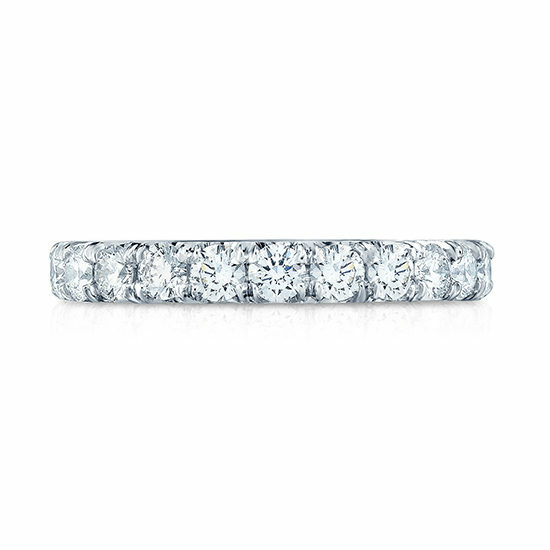 This 8 point Diamond Pave Eternity Band makes the perfect wedding band. 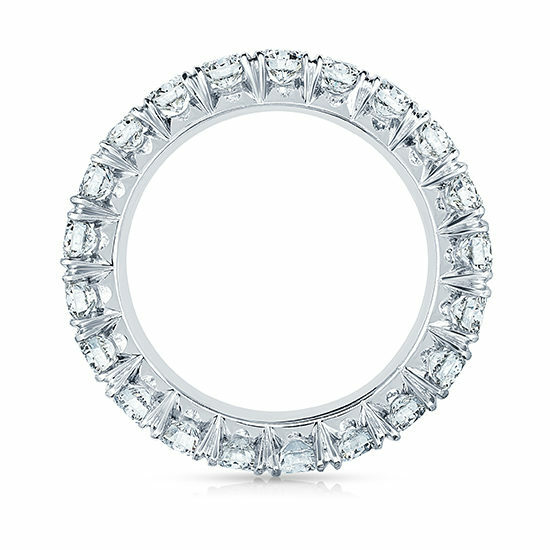 It is stackable with other eternity bands and sits flush to most Marisa Perry engagement rings. This ring contains 1.85 carats of perfectly matched one point diamonds that have E/F color and VS clarity. The band was hand crafted in metal and each diamond in the band was handset into solid platinum under a microscope. The micro pave work offered by Marisa Perry is the strongest, most secure available. While the craftsmanship is durable the look is feminine and refined. Shipping and courier insurance charges vary depending on location. Meticulously sculpted in platinum, 18k yellow gold, or 18k rose gold. Made in NYC. Contact us today to schedule an appointment with a diamond specialist and explore the different options available to you. We look forward to creating your perfect ring!